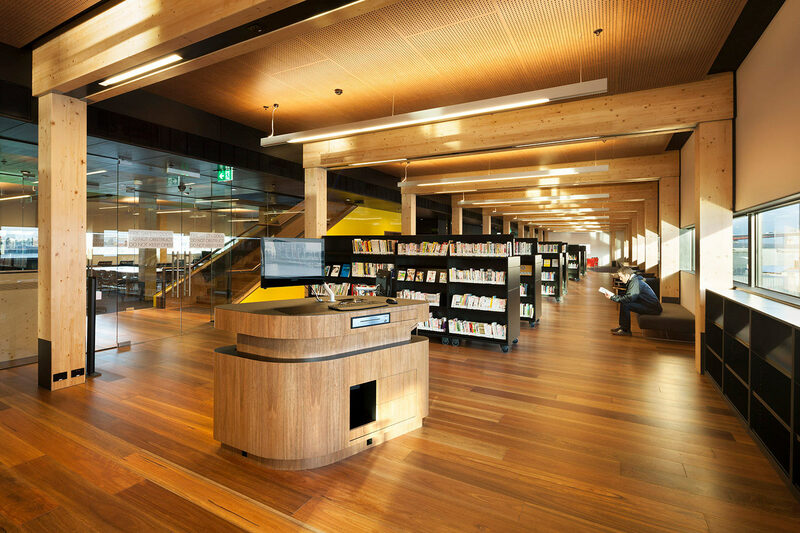 Delivered through a tri-partnership agreement between Places Victoria, the City of Melbourne and Lendlease, the Library at the Dock is the centrepiece of Victoria Harbour’s new civic heart. 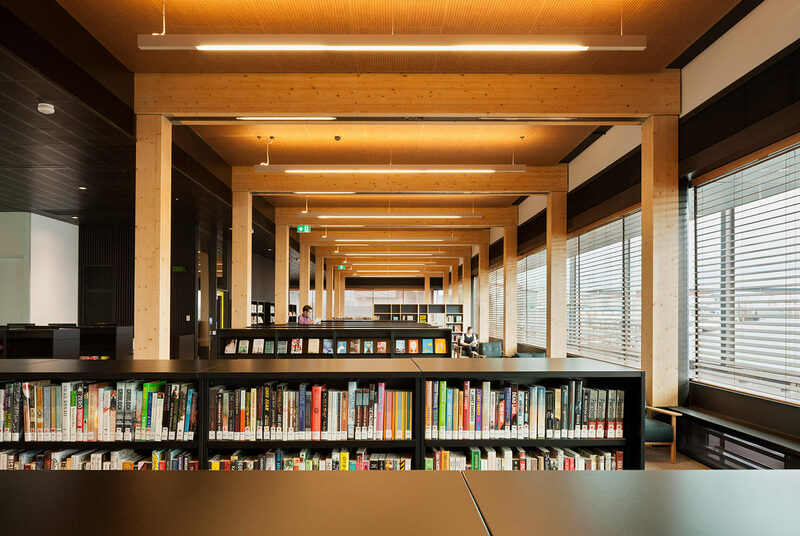 It provides a much sought after hub for locals with meeting, performance, exhibition and entertainment spaces, digital studios and a café, as well as quiet study areas and a traditional library collection. 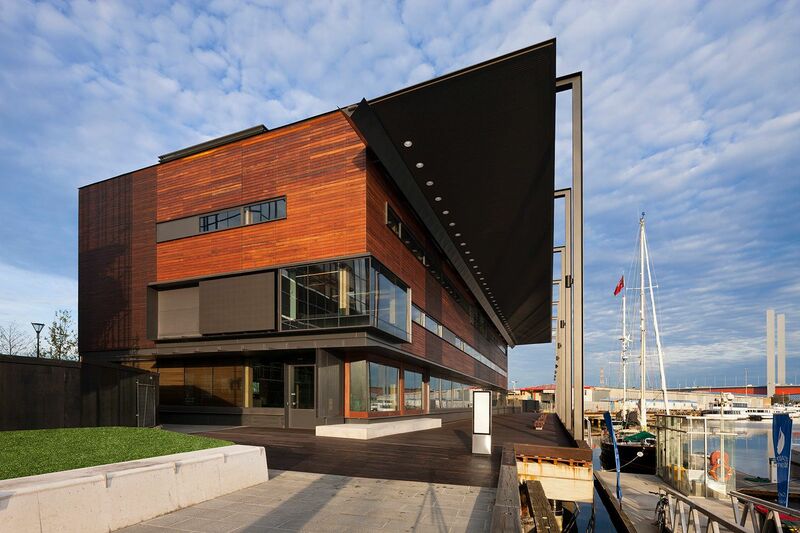 The elegant, three storey lightweight timber building sits atop a heritage listed wharf. 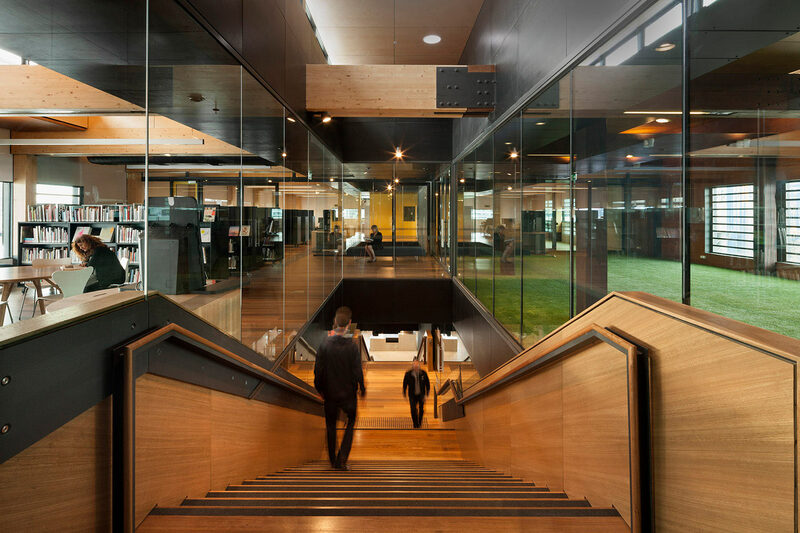 Architecturally, it is finely drawn, with an understated sense of integrity worthy of a civic building. 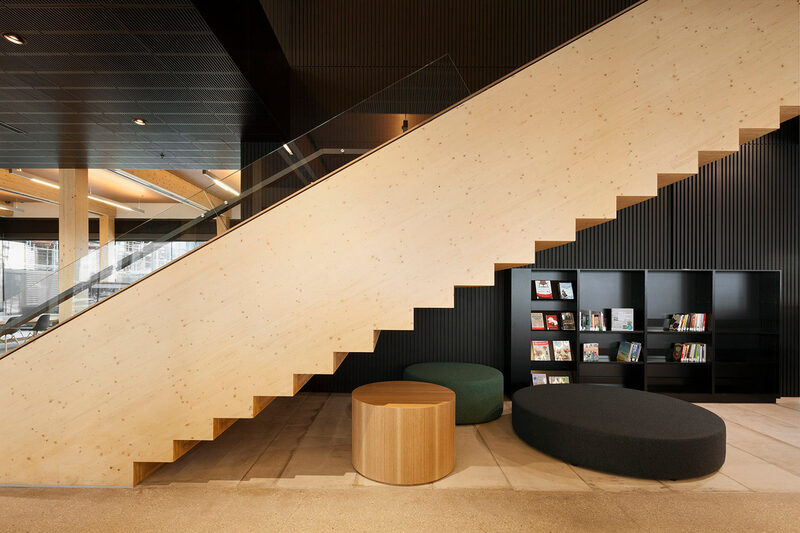 At street level, it is transparent and welcoming, expressive of an open invitation. 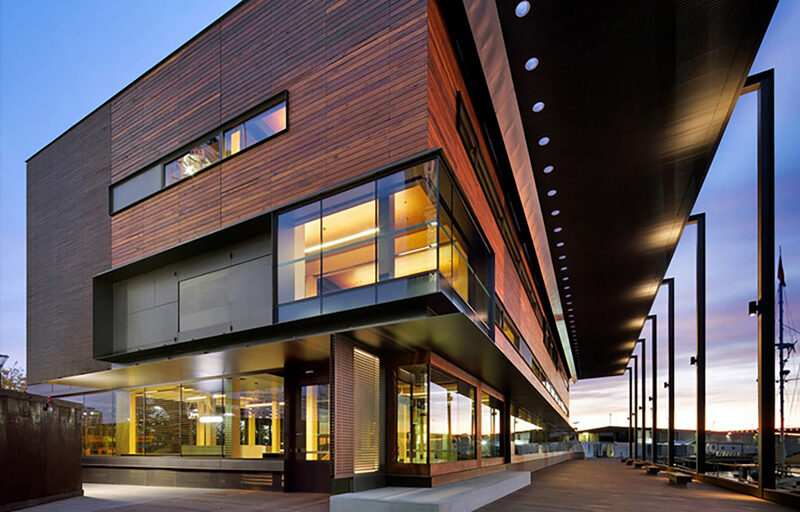 Lighting and shading through the layered facade change the building’s appearance and natural materials tie it in to the adjacent park and harbour setting and activities. 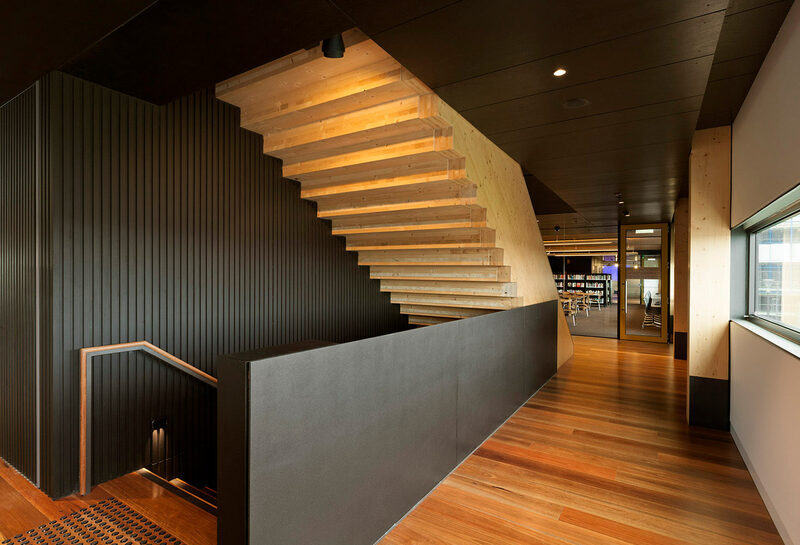 Clad in reclaimed hardwood, the design features a passive ventilation system for enhanced natural ventilation. 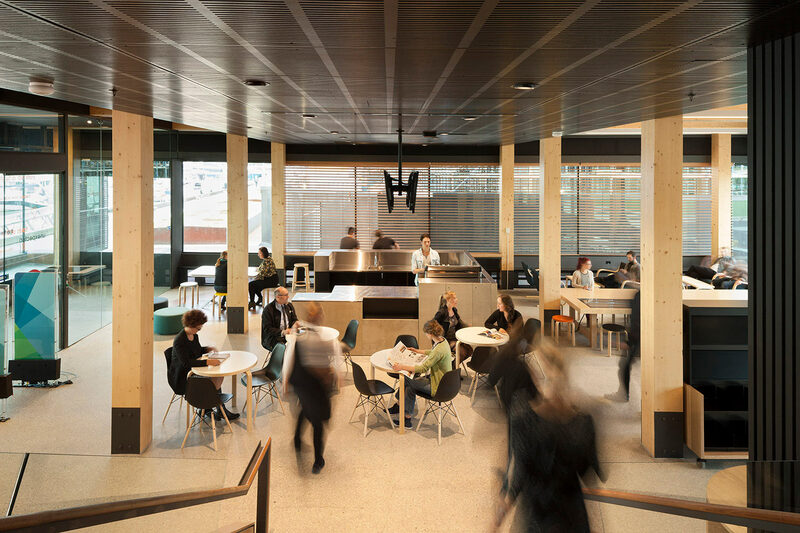 It is the first public building in Australia to be constructed using cross laminated timber (CLT) technology, and Australia’s first to be awarded a 6 Star Green Star public building rating.